Why are Flights to and from Turkey so Expensive? Circumstances dictate that in two months, I must return briefly to the “Dear old Blighty”. The small and dark Island floating in the middle of the Atlantic Ocean. The island that provokes doom and gloom memories of miserable people who are incapable of muttering good morning without moaning about their daily lives and the poor performance of their government. Where am I talking about? I do not want to return but needs must be and this forced me into looking at flight tickets online. 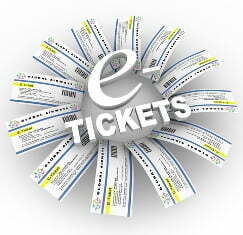 Now, all over the world, flight tickets are booked in the thousands every day of the week. However four hours after commencing my search, I had still not booked a flight ticket and now have major concerns about the average cost of flight travel to and from Turkey. At some point over the years, I developed an intense hatred for flight travel. The amount of time that was spent sitting around in airport lounges, making mad dashes to the luggage carousels and enduring the false smiles of the stewardess, made me believe that I would rather pull my toe nails out with eyebrow pluckers than sit on an airplane for four hours. Explanation for the high price of flight tickets is given to us in the form of a fuel crisis. Now that Colonel Kaddafi has given up his fleet of private jets, can we expect to see improvements in the price of fuel very soon? I don’t think we should hold our breath. The thing is, I am not an expert at how fuel gets traded around the world but I do think something is odd here. Come back and tell me there is a fuel crisis when private jets are made illegal and families are limited to one vehicle per household, no matter how rich they are. Flight travel is based on the competition. Last month, when one small operator went bankrupt, the two major airlines companies that were operating the same routes put their prices up drastically overnight. This makes me believe that somewhere in the world is a Jacuzzi full of fat, hairy CEOs rubbing their hands together while smoking Cuban cigars and laughing at how the average commoner on the streets is being ripped off left, right and centre because it is all perfectly legal! Check-in baggage is NOT included in the flight price! WTF! When was that blatant and obvious form of daylight robbery introduced? How many people book a flight from Turkey to the UK or vice versa and do not check in with luggage? I can tell you, absolutely nobody. Checking in baggage for two people costs an extra 30 euros. Praise the lord that I do not have a family like the Walton’s. At this point, the fourth bottle of beer was consumed and I opened the fifth. The cost is 35,00 euros! I could buy 25 bottles of beer for that price or even feed myself for five days with 35, 00 Euros. All the extras at this point are starting to add up and the original expensive flight quote is starting to look like false advertising. 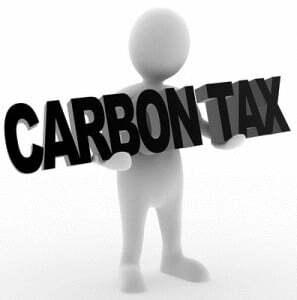 So apparently included in the price of the flight ticket is Carbon tax. Now, don’t get me wrong, I am all for saving the earth and conserving our planet but does anyone actually know what is being done with the money that is made from this tax? All over the world, countries are jumping onto the carbon tax bandwagon generating thousands or maybe millions in extra money throughout the period of a year. What a shame none of us actually knows how it is being spent! I have done many jobs in the past, of which one was selling flight tickets. I obliged as the companies instructed me to charge innocent customers, 25 pounds just to replace a ticket made of paper. I could never answer why people got charged for excess baggage but they never got money back if they were underweight on their luggage. Fair enough, the flight industry has changed now but the mistrust is still there and always will be. Take into account all of the above and no wonder, I now have hesitations about flying. The average cost has dramatically increased but we see no extra return in service. If you read a story, two months later about the crazy woman who tried to row across the Mediterranean in a dingy boat, than that will be me! We did it by train a couple of years ago and made a holiday of it. We visited Amsterdam, Vienna, Budapest and Bucharest it cost about twice as much as flying but was worth it just to avoid the aggravation of flying and to be able to see places you can never see from 38,000 feet. Lisa, that is such a long way to come. With children as well. Not sure that i would be able to handle that. For us it’s 30 hours (usually a 5 hr wait in Chicago) with two connections and a 30 minute drive on one end and a 90 minute drive on the other to get door to door with children. And so expensive too. Seems like airlines all over the world are cashing in on the extras Ted. I just returned from a flight from Costa Rica. They even charged for soda pops and bottled water on the flight. Ridiculous. The extra fees are in my opinion daylight robbery Gillian. @Jack – I am waiting on the beam me up machine as well! Flying is just so boring. I wished I could be beamed from place to place. We’re having a splendid time in Blighty catching up with family and old friends. I must say, as much as I love Turkey, I’m thoroughly enjoying the civilised driving, general politeness and personal space. I HATE being charged for luggage! I sort of…sort of understand on cheapo airlines like ryan air or air asia…. but when national airlines start doing it, it pisses me off! Apparently Air Canada started charging for luggage… RIDICULOUS!! Especially when my tax dollars bailed them out when they were going bankrupt! Ok.ok…sorry for the rant! Julia – I would love to come back by land. All the sights I could see! Now that’s an idea! I hate flying too, for all those reasons. One time, we decided to come back to Turkey by land and it was so much more relaxing. You missed out all the ridiculous security measures we now have to go through just in case we’re terrorists. Ufff, we need to go back to the UK for a little visit and keep putting it off. Good luck! I don’t know why, although I’m grateful for it, but I find flying rather relaxing. Everything from the check-in to the waiting to the flight. Love to fly, read and write while doing so. Brain – You are so right. I am considering taking a sleeping tablet to knock me out along the way. Alan – So looking forward to sitting down for a drink or two with you when I arrive in your neck of the woods. Oh the conversations we could have! Whoever said ‘getting there is half the fun’ never experienced a trans-Atlantic flight scrunched in a middle seat between two chatty human bovine; never enjoyed the pre-flight foreplay of ‘enhanced screening’ or spent hours having the back of their chair mistaken for a soccer ball. Completely agree, getting there, or at least flying there, blows.